The Whitireia Foundation is a registered charitable trust, established in 1999 and responsible for managing and growing its scholarship fund, which today sits at close to $400, 000. Our aim is to expand educational opportunities for Whitireia students, to promote knowledge, interest and support for their educational activities. The foundation is pleased to offer a number of scholarships to students who are planning to study at Whitireia. These scholarships provide financial assistance towards tuition fees, unless otherwise specified. Only the interest on the endowment fund is used for Foundation scholarships, preserving the capital fund. Scholarships are also provided by individuals, organisations and businesses. In 2011-2012, $70,000 was granted to forty-one students, who performed with exceptional results. 2013 saw $100,000 awarded to 50 students, with a similar amount going to students in 2014. Recipients meet with their scholarship provider on a number of occasions throughout their time of study. Encouraged by the faith shown in them as recipients of a hard-won scholarship, and by the supportive learning environment Whitireia offers, near 100 per cent of our scholarship recipients complete their programme of study with success. Encouragement is seen by many of our students to have as much value as the monetary benefit they receive via their scholarship. The Foundation congratulates all of our scholarship recipients on their achievements. Letters from our scholarship recipients tell of their experiences and demonstrate how the Whitireia Foundation is making a difference. There is so much satisfaction in seeing someone who receives a scholarship flourishing in their chosen career. Scholarship application forms are available from the Information & Enrolment Centre (IEC) at the Whitireia Porirua campus. Applications for 2014 closed in October 2013. 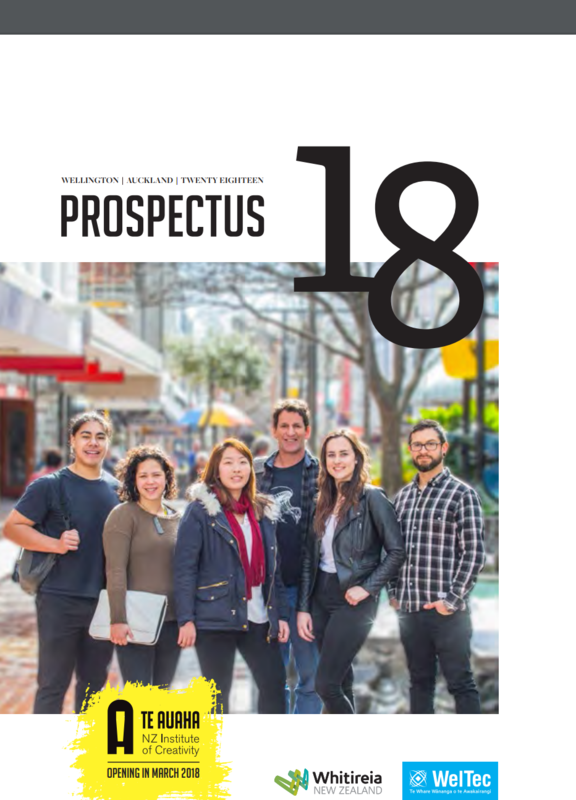 Our Trustees are volunteers who live in the Porirua area and are passionate about expanding educational opportunities for all, whatever people’s personal circumstances. The Trustees are responsible for developing relationships with businesses and individuals who grant scholarships. Some have provided scholarships themselves. The Trustees efforts on behalf of the Foundation include growing awareness of the fund, ensuring the widest variety of people know of the opportunities available to them. The Trustees particular focus in 2012 and 2013 is to grow the fund, to benefit more students, and to provide a buffer for when interest rates are low and the return on the capital does not meet desirable levels. If you are in a position to fund a scholarship, the Foundation would very much appreciate hearing from you. You are welcome to contact one of our Trustees in confidence (click here to go to Trustee page) or email Whitireia at the address below. Scholarships are awarded on the twin criteria of merit and perseverance to succeed – despite personal circumstances. 1 Scholarships will be awarded by the Whitireia Foundation on the basis that the information supplied is true and correct. The foundation reserves the right to withdraw the scholarship if the information provided is incorrect. 2 Applicants may be required to attend an interview with a selection panel. 3 The scholarship must be used for programme fees unless otherwise stated and must be used in the year it is awarded. 4 The Whitireia Foundation reserves the right to not award a scholarship should the Trustees decide that there are no eligible candidates. 5 Recipients are expected to pay programme fees prior to the start of their study in 2014. Scholarship funds will be credited to their Whitireia student account after the receipt of the award at the Whitireia Foundation Scholarship Ceremony early in the academic year. 6 Recipients and their families will be invited to attend an awards ceremony to be held early in the academic year. Recipients are required to attend to receive their scholarship. 7 Successful applicants will be required to participate in promotional activities or publicity. 8 If the recipient withdraws or transfers to another programme, it is expected that the scholarship will be repaid to the Foundation. 9 Applicants must be willing to have their progress monitored and provide a statement of achievement at the end of the scholarship year. 10 The decision of the Trustees is final and no correspondence will be entered into. The Foundation gratefully acknowledges the support of our sponsors. Whitireia is pleased and proud to support the valuable work of the Foundation. The Whitireia Foundation gratefully acknowledges Whitireia visual arts and design student Deirdre Ralph for her artwork, featured at the top of the page.